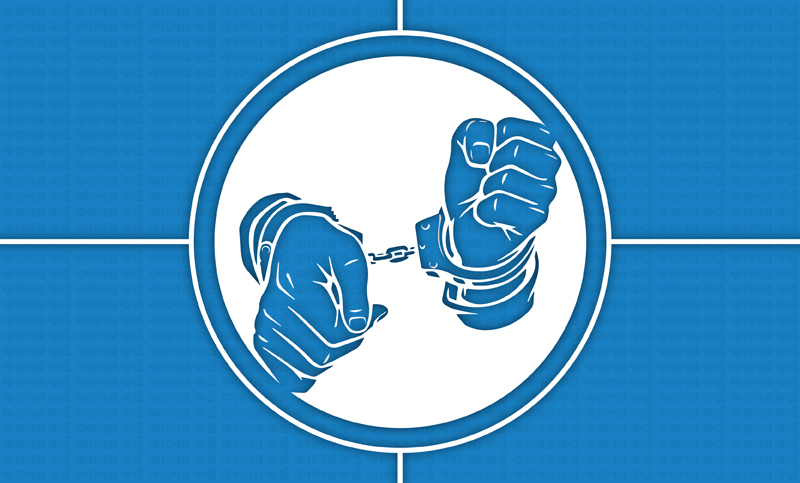 Members of Rapid Action Battalion (Rab) arrested a member of banned militant outfit Jamaat-ul-Mujahideen Bangladesh (JMB) along with a pistol and some jihadi books from Sadar upazila of Jhenaidah district on Wednesday. The arrestee is-- Akhtaruzzaman Sagar, 20, son Sharafat Hussain, hailing from Kaluhati village of Ganna union of the upazila. "Being tipped off, a team of Rab-6 conducted a drive in the area around 9am and arrested him along with a pistol and jihadi books," said Rab-6 chief Wing Commander Hasan Emon Al Rajib.